Kathmandu, August 9th, 2016:- Syakar Trading Company Pvt. Ltd (STC), authorized distributors for Honda Cars in Nepal today introduced its new model Honda BR-V. The BR-V (Bold Runabout Vehicle) which is the first 7 Seven Seater SUV in Nepal boasts the Best in Class Ground Clearance of 210mm and many First In Class Features with Heat Absorbing Windshield, CVT with Paddle Shifter, 2nd Row Sliding and Reclining Function and 3rd Row Seating with Reclining Function. 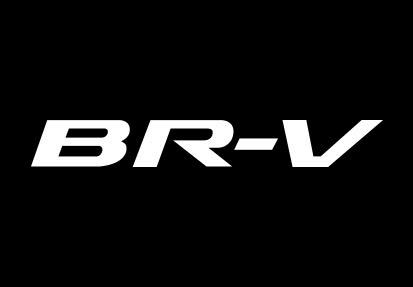 The BRV also has a Bold and Sporty Stance, , Powerful Performance and Excellent Mileage with Highly Versatile Premium Interior. At heart it bares Honda’s extremely popular 16-Valve, 4-Cylinder 1.5-liter i-VTEC engine with new and exclusively developed 6-speed Manual Transmission and first-in-class Continuously Variable Transmission (CVT). The unique “Paddle Shift” option in the CVT variant provides the convenience of an automatic with enhanced driving pleasure of a manual and can be operated using the Sports Car inspired paddle switches located just behind the steering spoke. BR-V comes equipped with Dual SRS Air Bags as Standard offering across variants, along with host of other active and passive safety features. The BR-V 1.5L i-VTEC Petrol Engine delivers maximum power of 119 PS@ 6,600 rpm, maximum torque of 145 Nm @4,600 rpm . Exterior design of Honda BR-V is striking which reflects toughness and a premium SUV character. Sporting a bold and wide stance from the front, the exterior styling is highlighted by Projector Headlamps, Front Grill Design, Heat absorbing windshield First in Class and LED Position lamps. Silver Finish roof rails of the BR-V accentuate the sporty appeal of the vehicle. The tough sporty and premium wide feel is further enhanced by the Connected tail light design with LED Light Guide at the rear. The uniquely styled all-new 16-inch aluminum wheels emphasize the dynamism and ruggedness of the BR-V.
Honda BR-V features a host of advanced interior equipment including the Push Button Start with Smart Entry, Integrated Bluetooth Audio System with hands Free Telephone (HFT) and Steering mounted controls for Audio, Automatic Air Conditioner and Power Foldable ORVMs to provide more convenience for the consumers. The Multi Information Display (MID) allows the driver to monitor all important trip and vehicle information including Driving Range, Instantaneous and Average Fuel Efficiency, Ambient Temperature and Time. Further, an Eco lamp provides feedback to the driver during fuel-efficient driving. The outstanding package of the BR-V is based on Honda’s Man Maximum Machine Minimum concept to create Maximum space for the occupants offering significantly high Headroom, Legroom and Knee room. 4456 mm long, 1735 mm wide & 1666 mm tall BRV has a wheelbase of 2662 mm. Efficient use of space has been made on the BRV to create an ultra-spacious cabin. BR-V is available in 6 Exciting exterior colors – Carnelian Red Pearl, White Orchid Pearl, Alabaster Silver Metallic, Golden brown Metallic, Urban Titanium Metallic, Alabaster Silver Metallic and Taffeta White and is available at All Honda Showroom from 39.99 Lakhs onwards.